Did you know that each region in India has a different cuisine? This time we will try food from the southern part of India! Protected content is a restaurant that is recognised as breaking new ground in the presentation of South Indian vegetarian dishes, including some which are new to this country. 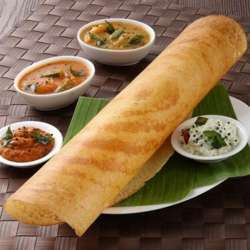 The menu offers a variety of dosas (savory crepes) idlis (rice cakes) traditional curries, and street food. The food is tasty, cheap, and always consistent. Directions: Closest tube station is Tottenham Court ( Northern & Central line). The restaurant is a Protected content walk away.